Last week I had the supreme privilege of hosting the WICED WiFI + Bluetooth + Zigbee software team at my office in Kentucky. 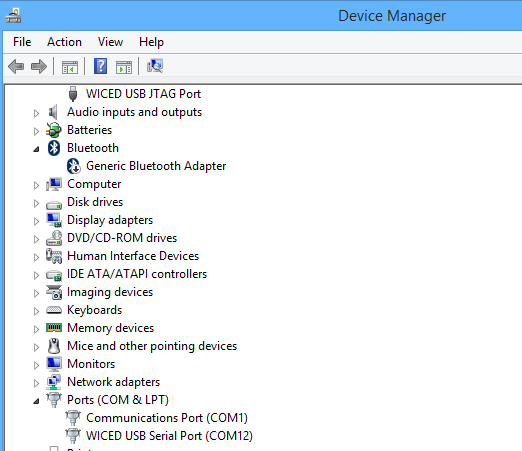 This included the overall manager for WICED software (a truly remarkable guy), the engineering managers for WiFI and Bluetooth, the head of applications for WICED as well as a bunch of the firmware guys. It occurred to me during the week that the people joining Cypress was the best part of the Broadcomm IOT acquisition. And that is saying something as I really like the products. Also at the summit were all of the software engineering leaders for PSoC (who I have worked with closely all of my career). Needless to say, it was a bunch of badass developers. The purpose of the meeting was to introduce the PSoC team to WICED and then talk about the future roadmap for those products. 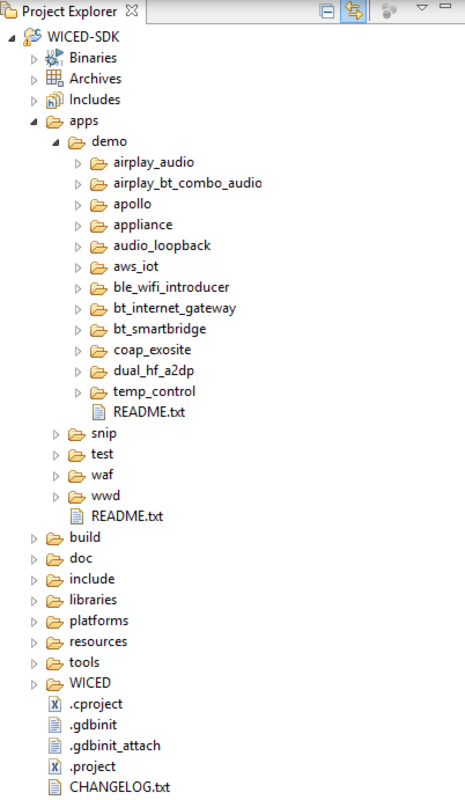 Obviously I can’t talk to much about the 2nd part… well actually the only thing I can say is that it will be amazing as we will be able to offer PSoC with the power of WICED. What I can talk about is the first part. 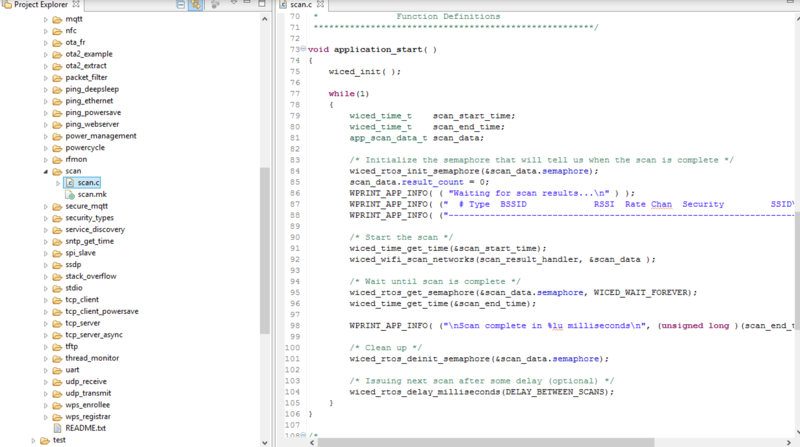 So, I thought that I would show you one of the things that we did with WICED. 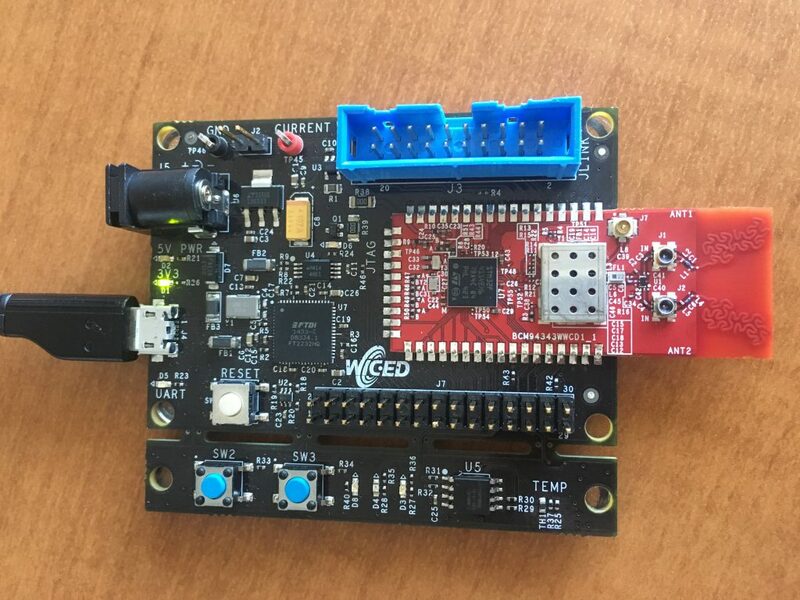 First of all, WICED (Wireless Internet Connectivity for Embedded Devices) is the brand name that Cypress uses to describe all of the WiFi, Zigbee and Bluetooth chips and modules that were acquired from Broadcom/Avago. 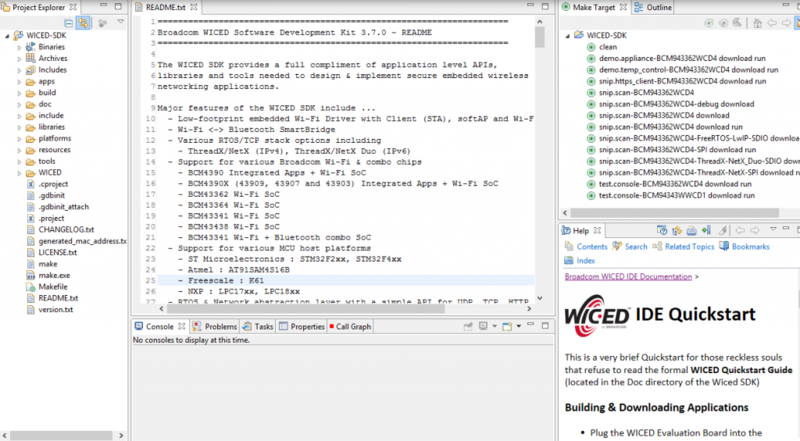 The other thing we call WICED is the WICED SDK which is used to mean Eclipse plus all of the tools (programer, plugins etc) plus the software library that is used to build products using the WICED chips and modules. In the world of programming the first example is always “hello world”. 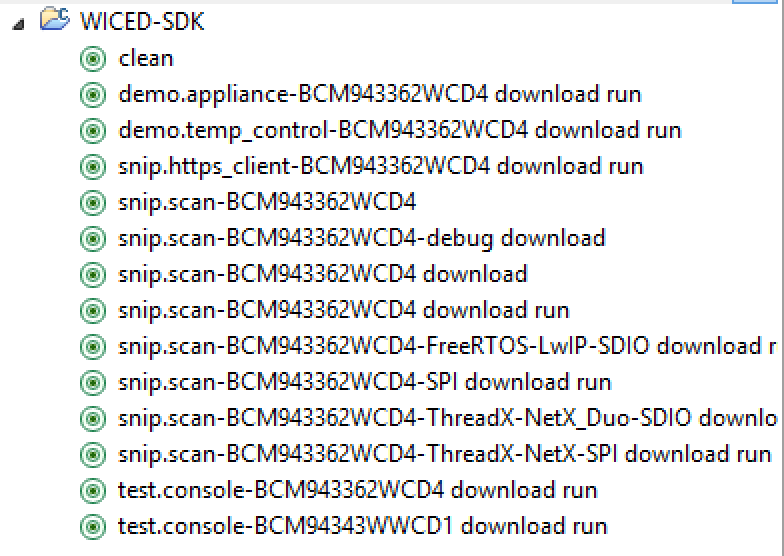 In the world of MCUs the first example is always “blinking led”. It turns out that the first example in WiFi is “scan” to show that you can see all of the WiFi networks around you. The purpose of all of these examples is to prove that all of the tools can do their thing. 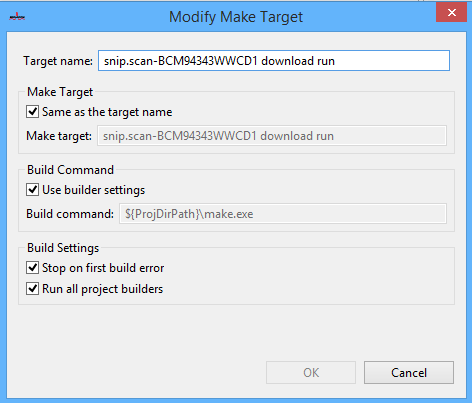 And finally, double click the make target to build, download and run. 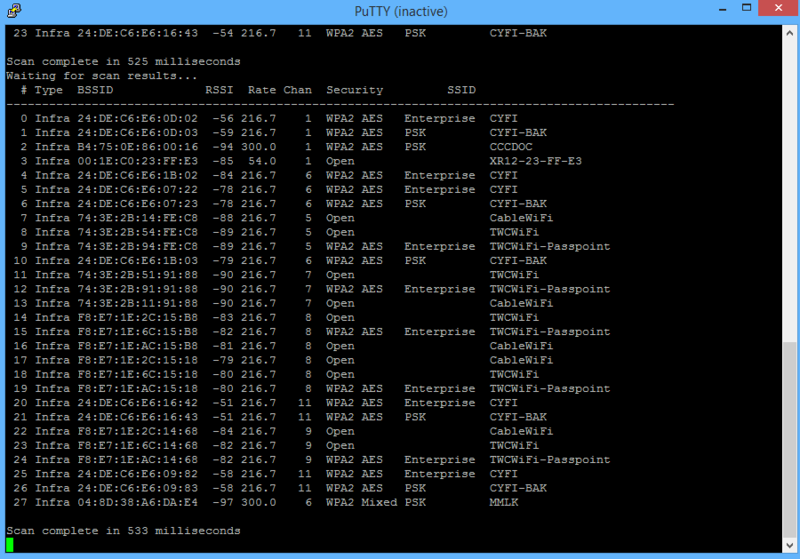 After it starts, the Putty screen fills up with all of the WiFI networks that are around me.